When the latest batman film came out, i went to the VIP Cinema in Victoria Square with three friends - Mark Gary and Emma. This was a little birthday treat for Gary. So i decided to try out some batman themed nails. 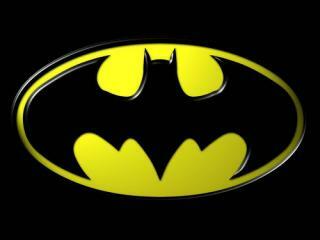 I will admit, i found it difficult to draw the batman symbol onto my thumb nails. I think if my nails had been a little longer it would have been easier. What does everyone think of these? 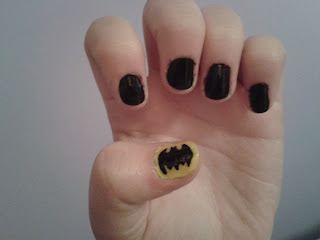 Did anyone else do any batman nail art?